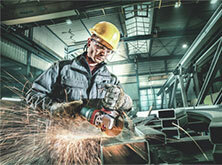 Craftsmen want to get rid of cables, not skimp on performance - even in extreme applications. 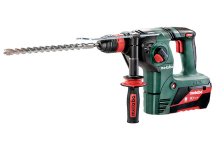 That's why Metabo offers powerful tools with 36 volt battery pack technology for demanding applications far away from any power supply. These robust 36 volt battery packs with lithium-ion technology deliver the concentrated energy you need for demanding applications in trade and industry. The tools are in no way inferior to their plug-in counterparts. 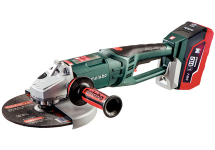 The only way to fulfill the demands professional users place on a 36 volt cordless tool is to think of it as a single unit - and to rely on the right charging technology with intelligent monitoring functions. With our Metabo Ultra-M technology, tools, battery packs, and chargers are perfectly synchronised - for more efficient and gentler charging and optimum energy use. Our patented AIR COOLED charging technology ensures short charging times and a long service life for our battery packs. The battery packs impress users with their electronic single cell monitoring, intelligent battery management and a large number of charging cycles. 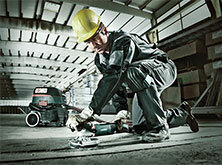 Since the battery packs discharge very little energy when not in use, they are always ready to work. 36 volt lithium ion battery packs are placed under high demands - thanks to our sophisticated battery pack technology, we can offer you a three year warranty with a clear conscience.